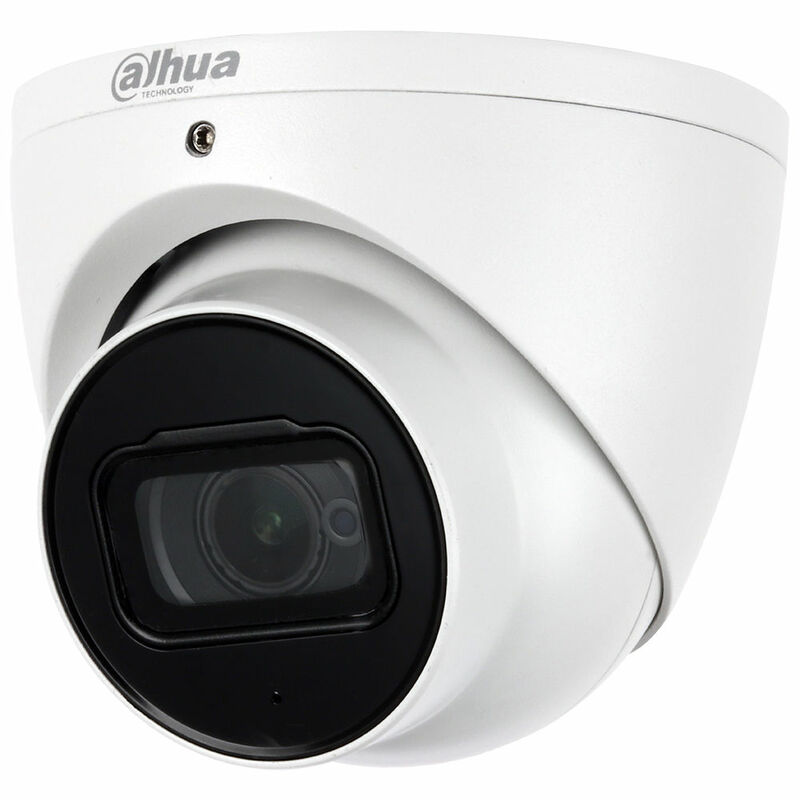 Transmit up to 5MP video over coax cabling with the Pro Series A52AJ62 5MP Outdoor HD-CVI Eyeball Camera with Night Vision from Dahua Technology. Featuring a 5MP STARVIS CMOS sensor and a 2.8mm fixed lens, this camera captures video at resolutions up to 2592 x 1944 at 20 fps in a 98° field of view. The camera uses Starlight technology to deliver color video in low light conditions down to 0.005 lux and an IR cut filter and IR LEDs for 0 lux night vision as far as 164'. The camera is equipped with a built-in microphone for capturing audio, which is transmitted over coax along with the video signals. Designed for outdoor use, the camera is housed in an IP67-rated weather-resistant enclosure. Box Dimensions (LxWxH) 6.0 x 6.0 x 5.5"